As we all know, GamesCom is taking place in Cologne, Germany, and yesterday, EA showed The Sims 3 Pets (both for PC/Mac and console). A lot of information and pictures have been published during the last 24 hours, and probably even more will be released until Sunday. We have decided to create this articles in order to sum up the most interesting details and will keep updating if and when necessary. Our sources are: SimFans, SimTimes, SimPrograms, InfiniteSims, SimsVIp, SimGoodie, SimCookie. Update 1: GamesCom video by SimFans added! Update 2: New details about collections! Update 3: New details about the console version! Update 4: New details from Twitter! Update 5: new links, pictures (Appaloosa Plans and buy mode) and some video added! Update 6: new info and videos! Update 7: new console information! Update 8: new details about horses and unicorns! Update 9: puppies and CAP! Update 10: new pictures from SimFans! Update 11: new CAP video from SimFans! Update 12: new video interview and pictures! Update 13: new links added to interview, preview and pictures! 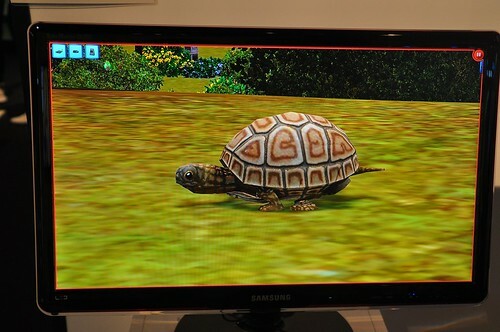 SimFans published their full preview of The Sims 3 Pets after GamesCom. You can find the article here (German only). Name generator (we think similar to The Sims Medieval one) - sure it works for pets creation, not sure about rename sim and so. 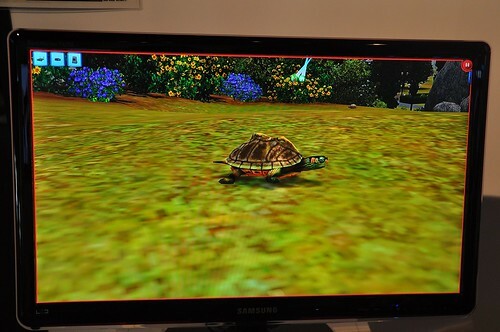 SimFans has published a new gallery of pictures about "minor" pets. You can find it here! It is NOT true that Pets will only have one baby. Pets can have different tails. You an adjust neck with slider. Has many different sliders for ears, back, and belly. Voice level can be adjusted to be quieter or louder. Horses can Train themselves, but it’s much better when a Sim is helping train them! You can build a barn in any shape or size you please – in most situations though, each horse will need their own box stall to live in. Horses can have braided tails. Unicorns can teleport around the world, not just run/walk like a horse. Unicorns can breed but not with normal horses. Must be another unicorn. Unicorns can light fires – horn turns orange. 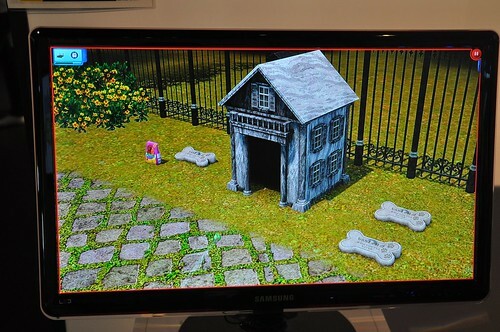 There is a whole new, unique neighborhood in The Sims 3 Pets on consoles and it's called Sugarmaple Coasts. It has supernatural elements, graveyards and a lot of mystery in it. Apparently pets will be able to stick around for a few more days after they have died, as pet ghosts! And just so you know, pets in the consoles games can only die of old age. If Sims use the karma power called Divine Intervention they can bring back a beloved pet who has recently died. But you have only got a few days to bring them back.Some other karma powers that have been mentioned, some of these are positive, some are negative, are Cast Curse, Feral Possession and Meteor Strike. In the version for Xbox you can use Kinect, so you can give commands with your voice, to control the Sims and pets, and basically use the basic UI navigation with your voice. The unicorns are bright and shining. You can add unicorns on your households. The pets only die by old age. No new careers for Sims. You can buy pets in several ways. But not at the pet shop which is included in the deluxe version. It’s just for buying accessories. There is wildlife like raccoons and deers in the game, but you can’t add them to your households. Cats do not learn tricks, but dogs do. Cats can learn to hunt. Pets have a different route of transport and do not go into a Sim’s vehicle. SimFans announced that Pets will bring back collections. With the game or its pre-release patch, you will be able to create your own buymode collections, choosing an icon and a name for each folder! As announced yesterday, the new neighborhood introduced with The Sims 3 Pets will be called Appaloosa Plains and it's a country/ranch-styled place surrounded by mountains and a river. It's quite different from what we are used to, and we're curious to see it ourselves! Due to this new style, every community lot was created from scratch (as it happened for Riverview): school, hospital, theater, city hall etc., as well as the new pet-related venues. SimFans has published a great gallery of pictures (about 20) of some of the new town's features, pet tombstones included. You can find them here. Also SimsExchange.de has published some new screenshots of Appaloosa Plains, they are 23 and you can watch them here >>. As for the pet customization, here's some CAP screenshots for PC/Mac and a couple for Nintendo3DS. As we told on a previus article, there will be a new food truck, this time is an icecream truck. It looks similar to the Late Night's food truck, but we need to "grab" the picture to SimFans... watch the icecream on the Sim hand!! It's freezer bunny!! As for now, it's all folks! We'll update with any new details asap!